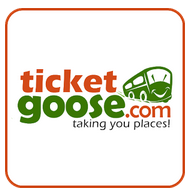 Ticket Goose is offering Rs 110 off on booking tickets also you will get extra Rs 100 cashback on paying with citrus cube wallet.TicketGoose mobile app is the simplest & easiest way of booking bus tickets from your Android device. It provide you a choice of bus services to more than 3000 destinations, with 20000+ trips everyday by associating with 700+ Bus Operators.Here I am providing steps to avail this offer. 1.Click Here to Download TicketGoose App. 2.Login/Register for a new account. 3.Select Journey destination and fill all details. 5.For extra 100 cashback pay amount with citrus cube wallet. 1.Both New and old users can avail this offer. 2.The cashback amount can't exceed Rs 100/-per transaction. 3.Extra Rs 100 Cashback applicable on paying amount with citrus cube wallet. 4.Offer valid till 31st August,2015.